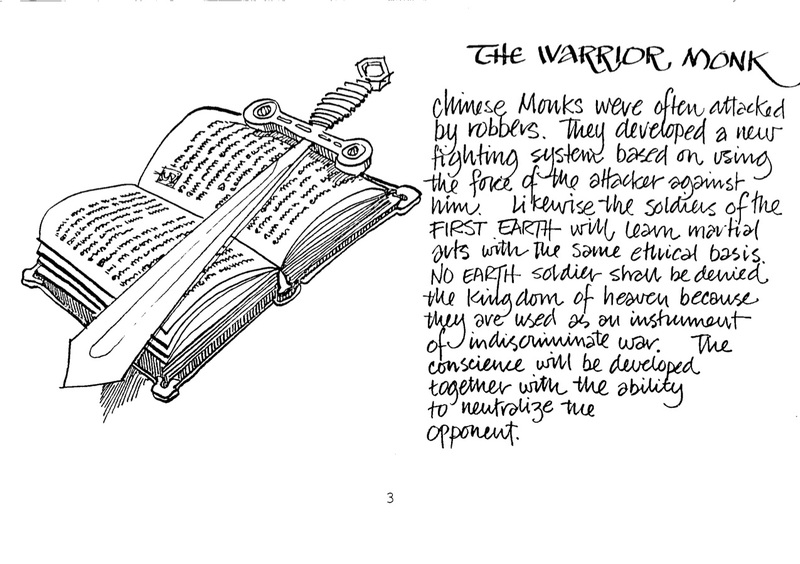 Channon’s language around “warrior-monks” sought to evoke Eastern martial arts techniques and a moral obligation to wage war ethically. 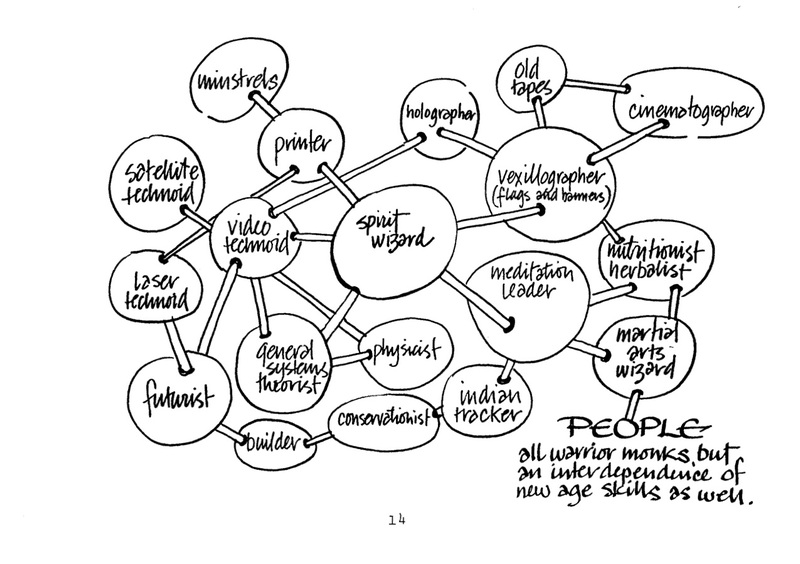 Channon visited many human potential movement organizations in the mid-to-late ’70s and listed them in his concept paper. 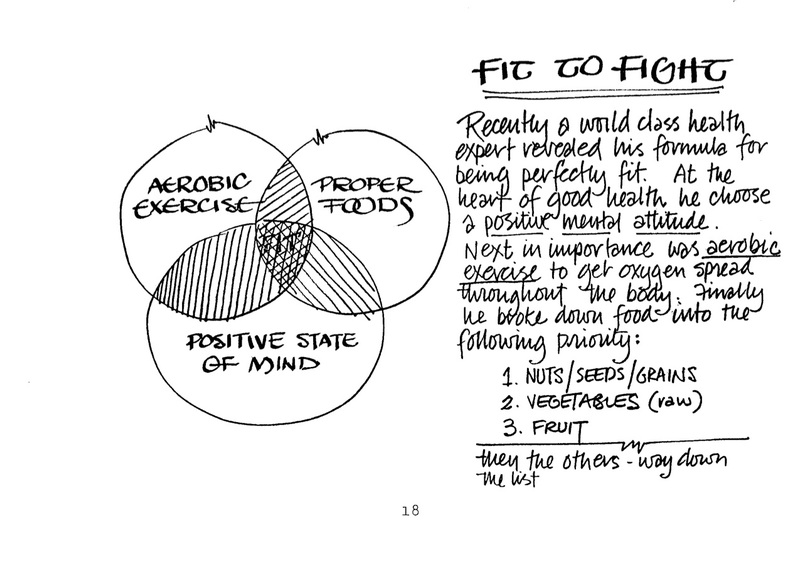 Macrobiotic diet suggestions and the recognition of the importance of aerobic exercise presage civilian health trends in the ’80s. 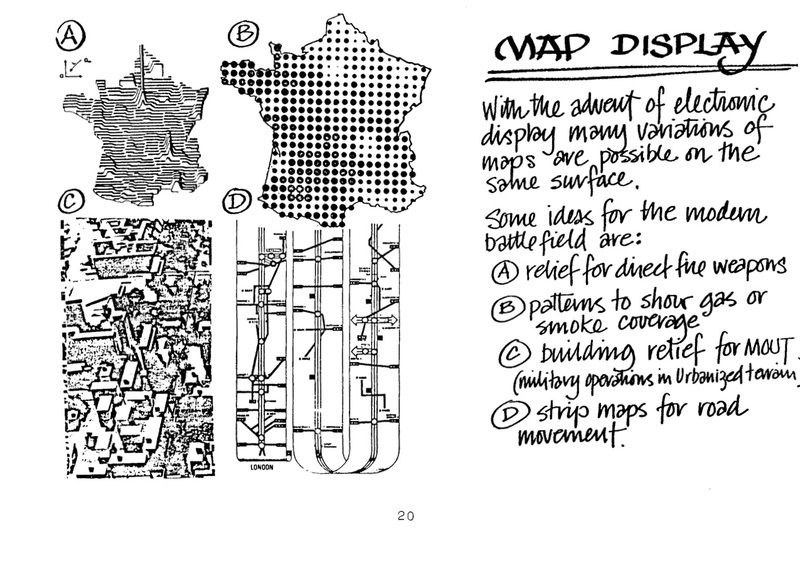 Channon’s recognition of how the computer would change both civilian and military mapmaking is legitimately prescient. 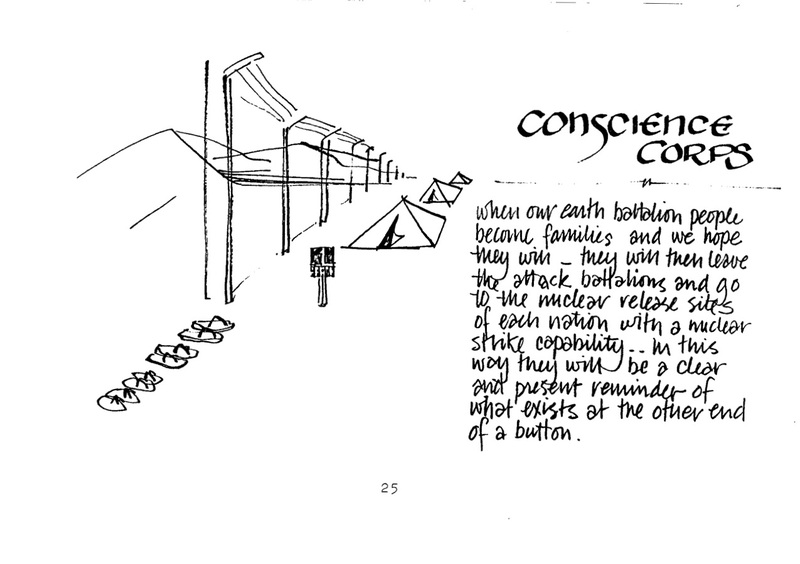 Channon envisioned families of his warrior-monks highlighting the danger of nuclear arsenals; nuclear disarmament groups used this very tactic throughout the Cold War. 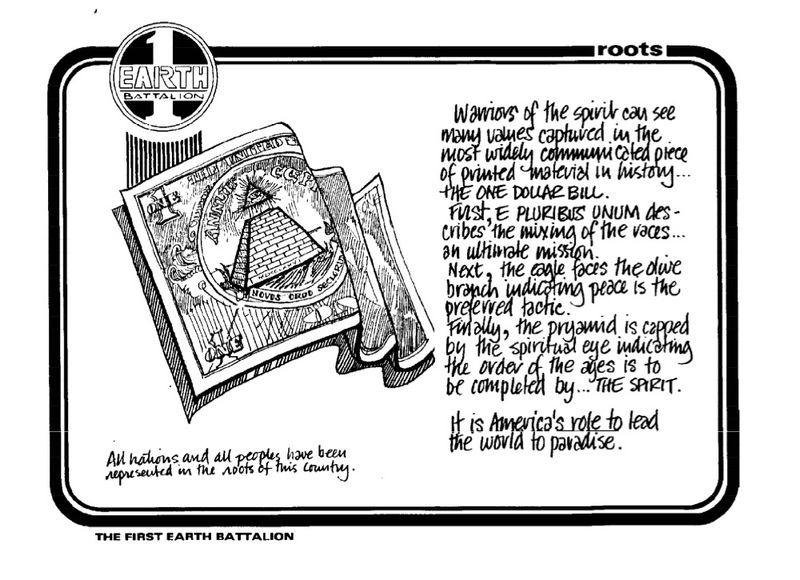 Channon evokes the mystery of the dollar bill’s Eye of Providence along with the motto “E Pluribus Unum” to call for a more consciously diverse military. The U.S. would use heavy metal, Barry Manilow, and Barney the Dinosaur instead of “indigenous music and words of peace” in its operations in Panama, at Waco, and in its black-site interrogation centers (as shown in the film version of The Men Who Stare At Goats). Channon’s “soft tactics” were a preview of the media battlefield on which the U.S. would wage war starting in the late 1980s. Channon envisioned a domestic “natural guard” that would respond to environmental disasters. 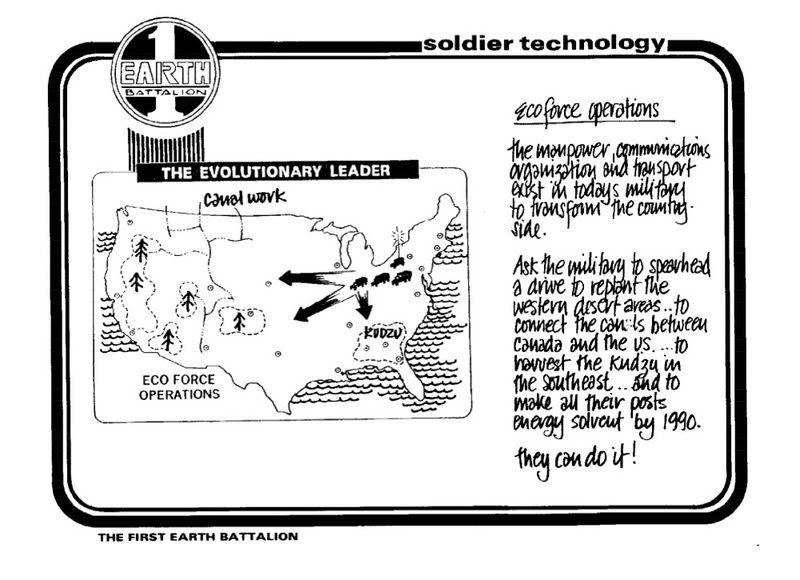 What was front of mind for eco-warriors in the early ’80s? Kudzu in the South and desertification in the West. 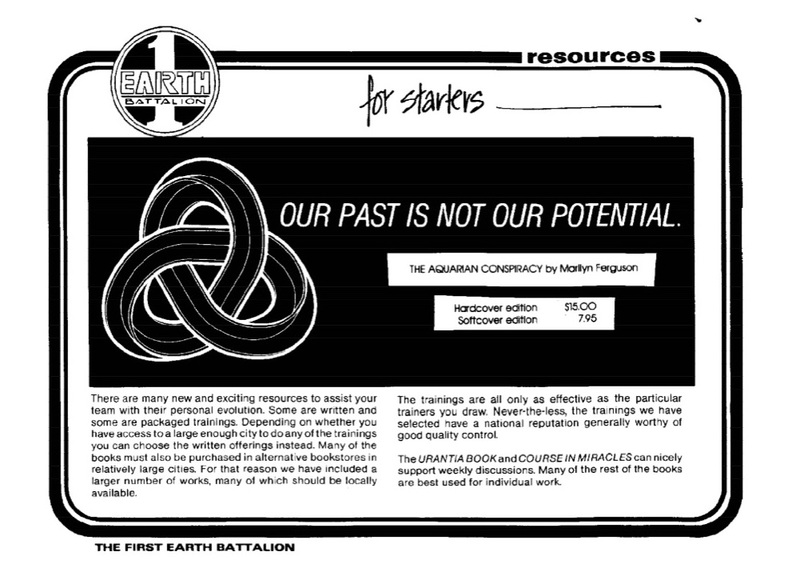 Again, the Eye of Providence, used by mystics at the outset of the American experiment, reappears in Channon’s text. Channon cites the popular 1980 book The Aquarian Conspiracy by Marilyn Ferguson as a good survey of the New Age movement in America. In 1979, a U.S. Army lieutenant colonel named Jim Channon completed a manual for a proposed new armed forces division: one impelled by a mission of peace and staffed by a new kind of soldier. Channon spent two years in the aftermath of the Vietnam War gathering information about the burgeoning late-’70s human potential movement. His research took him to the Esalen Institute in northern California, which was by 1977 on the vanguard in the “Aquarian” revolution in human thought. 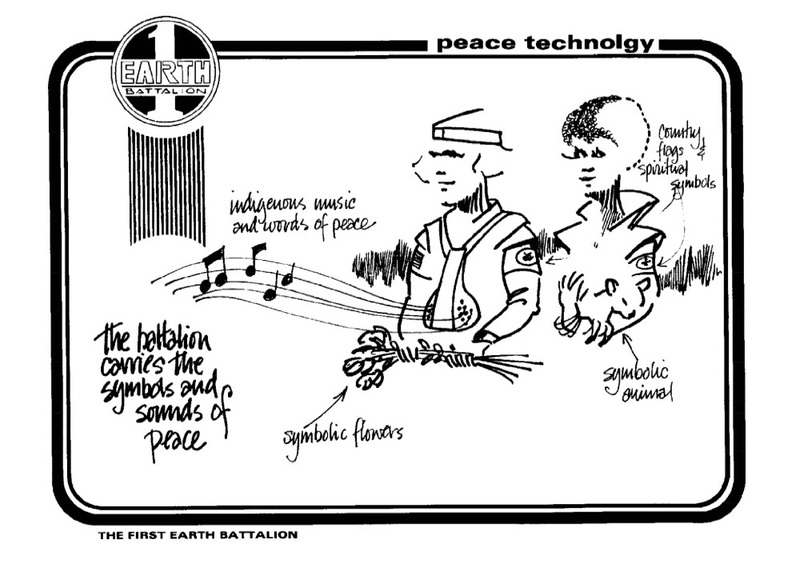 Channon saw promise in using the techniques pioneered by organizations like Esalen to tap into new sources of power and wisdom for America’s armed forces in the years to come. 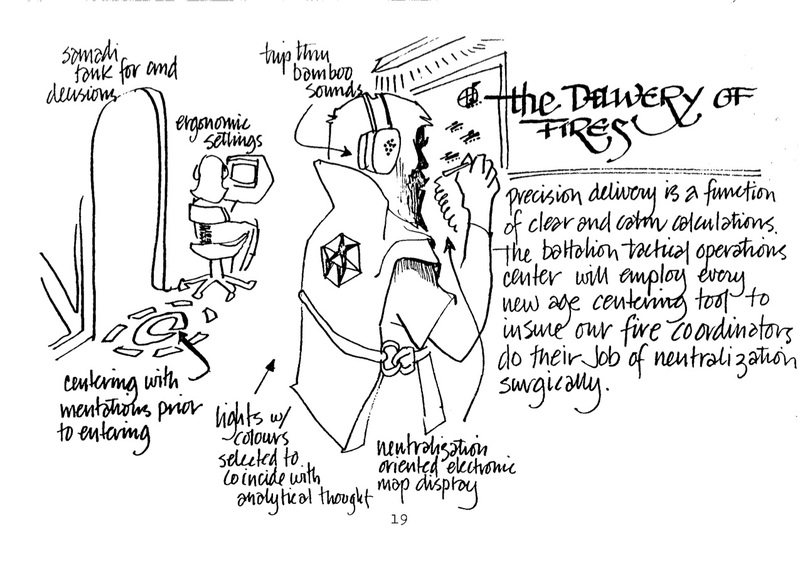 Not only could these techniques help a soldier perform better physically and mentally, but the attitude and mental outlook engendered by meditation, yoga, positive visualization, and other esoteric techniques could make his proposed “warrior-monks” soldiers of peace. 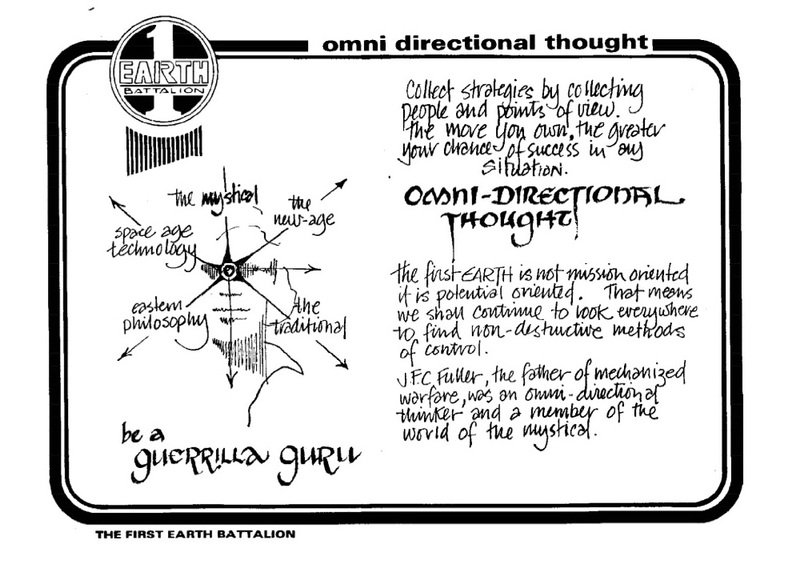 In addition to the human potential movement, Channon saw the technological advances happening in California in the 1970s as a source of new technologies for visualizing and shaping the modern battlefield. 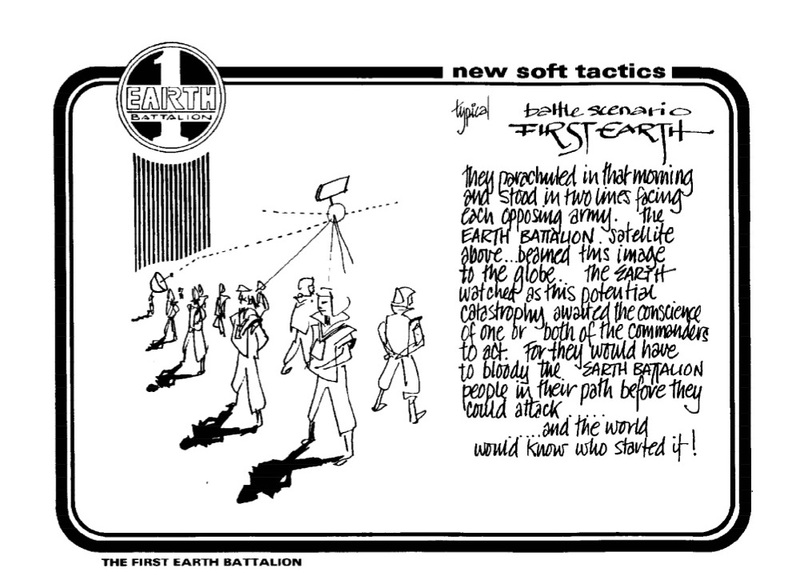 Channon called his proposed unit the First Earth Battalion. In 1979, Channon introduced his concept paper for submission to Task Force Delta, a U.S. Army program dedicated to finding new and previously-unconsidered ways to improve recruitment and retention given that the U.S. military was now an all-volunteer force. Task Force Delta’s many projects included the development of the late Cold War “Be All You Can Be” Army marketing slogan, created by General Maxwell Thurman in consultation with the RAND Corporation and advertising agency J.W. Ayer. It was notably inspired by prominent psychologist and self-actualization guru Abraham Maslow. New times called for new recruitment and even organizational methods, and in the post-Vietnam malaise ultimately no proposal was too outlandish. 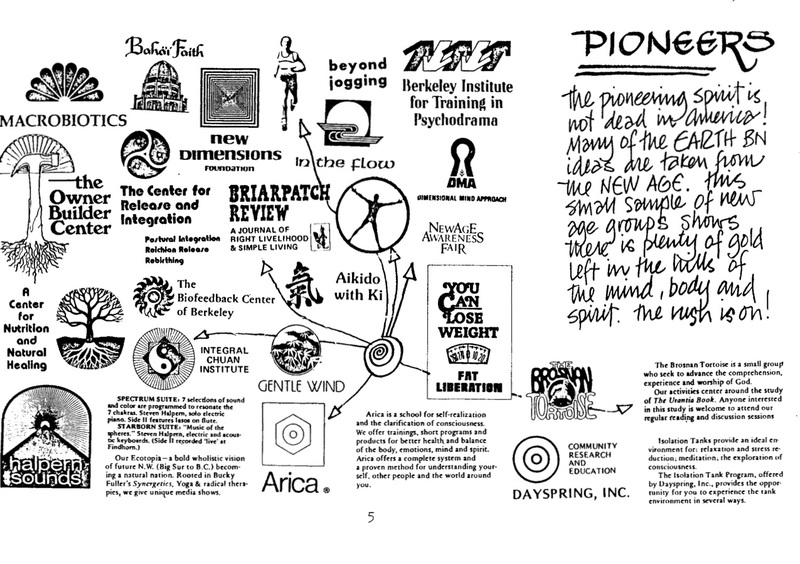 Channon’s embrace of the California counterculture (as seen in his encyclopedic listing of New Age organizations above) was no more outré than the Pentagon and CIA’s support of remote viewing programs in the 1970s at places like the Stanford Research Institute. One wonders what kind of real impact Channon’s proposals had on the U.S. military, men staring at goats at Fort Meade and Fort Bragg in the 1980s aside. Computers and satellite mapping technology in the coming years were absolutely integrated more deeply into the military’s infrastructure, with all the concomitant civilian consumer impact. The first Gulf War (and even Operation Just Cause, the plan to remove Manuel Noriega in Panama, commanded by none other than General Thurman) demonstrated clearly the impact of global media on the waging of war (not to mention the use of non-lethal sonic weaponry in the form of the rock music blasted at Noriega in the Vatican embassy). The Pentagon’s media blitz during the first Gulf War, CNN’s subsequent rise, and the public’s embrace of personalities like Norman Schwarzkopf and Colin Powell prove Channon’s vision of worldwide video warriors came true in a horribly warped way (not to mention the irony of satellite news stations broadcasting scenes of the environmental disaster of the burning oil wells of Kuwait, something that the Gulf War forces seemed incapable or unwilling to repair). In the 1990s and beyond, remote viewers and psychic warriors left over from the Cold War would go into business for themselves in private security and corporate consultation, often headquartering in remote, picturesque locales such as Hawaii (including Channon himself). 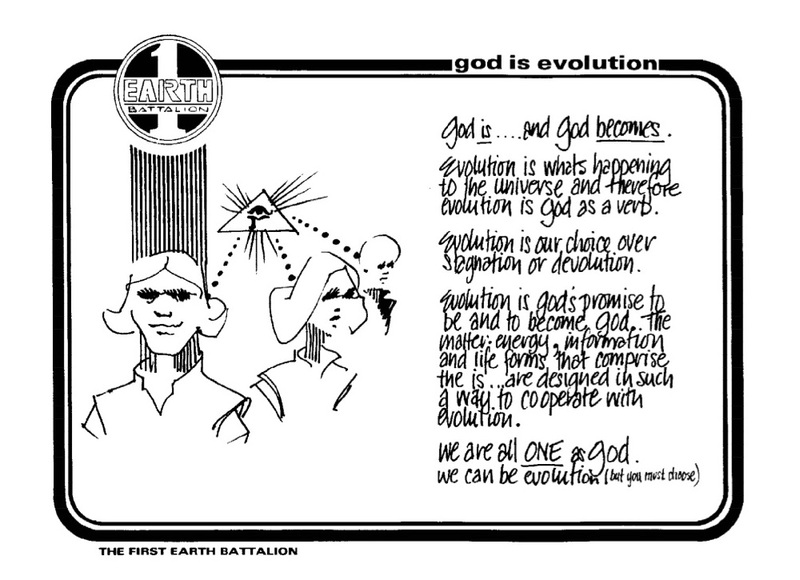 Much as the New Age mentality was subsumed into corporate America, so too were Channon’s warrior-monks.